Visit us and discover the history of Jews in Britain from 1066 to the present in our welcoming, interactive, and family-friendly museum. We tell the story of Jewish life through universal themes of food, migration, family, faith and culture. 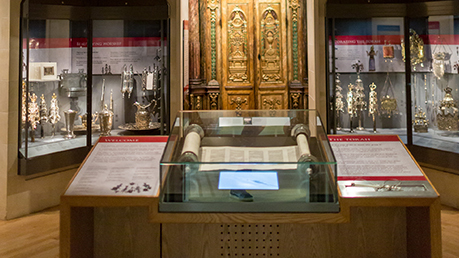 Explore our four permanent galleries showcasing the vibrancy of Jewish life in Britain, including a recreation of London's East End and rare items from our designated collection of Jewish ceremonial art. Don't miss our two temporary exhibitions, all included in the price of admission. You can also take part in our fun events and activities for all the family.